In the first of a series of articles we take a look at some of the key issues surrounding defined contribution pension arrangements and what we as advisers consider when reviewing our clients pension planning. 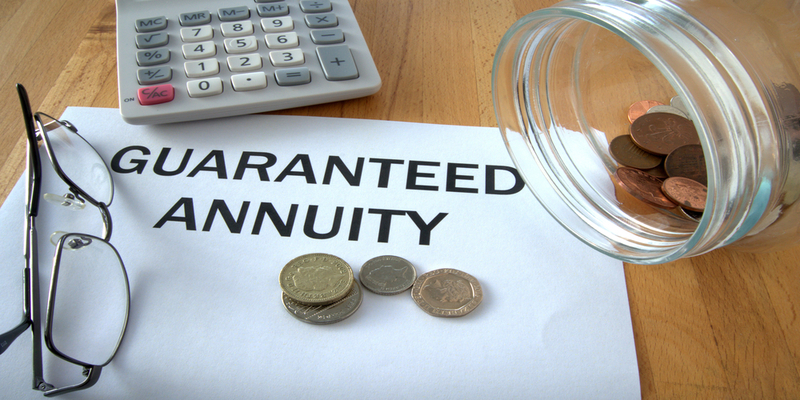 To begin we take a look at Guaranteed Annuity Rates. Guaranteed Annuity Rates (GARs) are a legacy of pension plans from the bygone era of the 1980’s, with more modern plans no longer benefiting from them. For those that remember, it was one of the key reasons that Equitable Life failed. They were offered at a time when market annuity rates resembled those of the GAR, and as such appeared cost neutral. Little did the various pension providers know just how expensive these would become and how valuable to clients they would be as we progressed towards the low inflationary / low interest rate market of today. As the name suggests, GARs offer the guarantee of a specific factor to convert the accumulated pension fund into income by means of an annuity. With the advent of the pension freedom legislation in April 2015, annuities in general have diminished in their popularity. However, it is not to say that anyone with a GAR should be quick to dismiss the value that they can offer to one’s retirement planning. After all, the uplift can be significant and one which cannot be replicated on the open market. To put in context, if a typical 65 year old can acquire a competitive single life annuity rate of circa 5% in exercising their open market option (OMO), we have seen clients with GARs ranging from 8% to 10%. One should be aware that there may be some restrictions or specific structures applying to the GAR. However, someone with a £100,000 fund with an 8% guaranteed rate would require a fund of £160,000 to secure the same annuity in exercising their OMO. In the case of a 10% rate, the fund would need to be double the size. Significant benefits indeed! Clearly there are many other factors relating to one’s financial planning that some into play when considering the relevance or appropriateness of a GAR. One of which is the aforementioned pension freedoms and the flexibility to stop, start, increase or decrease pension withdrawals as wanted or needed to facilitate income and plan Income Tax in retirement. GARs generally don’t facilitate such flexibility and once activated continue until death. However, one recent development has seen one prominent provider offer the opportunity to their clients to exchange their GAR in lieu of an enhancement to their pot, so that they may both enjoy an uplift to their pension fund and benefit from pension flexibility in retirement. This is an interesting move albeit one that is designed to benefit both the policyholder and pension provider. As such, we may see other providers offer something similar in time. In the couple of cases we have seen so far, enhancements of circa 50% have been offered, which clearly may look immediately attractive. However, it is not to be approached lightly and we would still very much extol the benefit of professional advice before proceeding one way or another. Feel free to contact us for an appraisal should this be offered or to discuss any other issue pertaining to your pension planning. This entry was posted in Pensions - Post Retirement, Pensions - Pre-Retirement and tagged Flexi-Access Drawdown, Guaranteed Annuity Rates (GARs), Personal Pension Plans (PPPs), Steve Prosser, Warr & Co Independent Financial Advisers (IFA).